10K Every Day App Review - 100% Scam! We Have Proof! 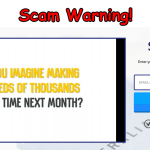 10K Every Day App Review – 100% Scam! We Have Proof! The Binary Options Trading industry is brimming with new softwares. Just about every day, we notice a ‘new’ App claiming to make millionaires out of normal people in short time durations. We try our best to quickly review those apps for you. You need to check out this 10K Every Day review if you are interested in finding out more on the 10K Every Day App. We received many emails from our readers asking about it, so we decided to quickly get down to the task. We have thoroughly inspected every aspect of this software which we’ll bring out shortly. 10K Every Day App Review – What it offers! The 10K Every Day App is also one of the many auto-trading softwares available. 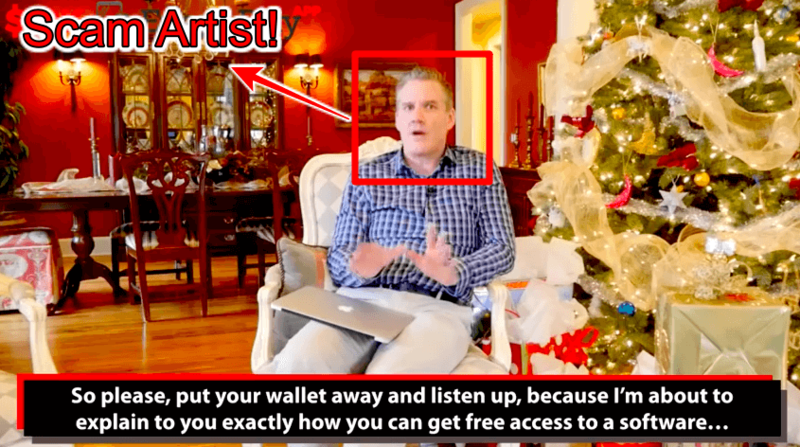 All the trading softwares highlight some or the other ‘bright spots’ in their advertorial videos and want us to become one of their ‘privileged’ members. A big portion of such softwares we review turn out to be fake and are worthless to trade with. 10K Every Day App can allegedly make a trader over $10,000 per day. So the name of the App implicitly lets you know about the expected profit at the end of the day after using it. 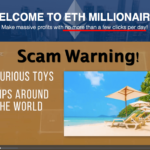 With a setup time of just a few minutes, we are told that we could be making tremendous profits without moving a finger. All one needs to do is sign up on the website and after sharing the name and email ids, the software just takes off! Since we take it onto ourselves to come up with fair reviews, we believe in testing the waters ourselves rather than let you jump into it straight. We found many things which screamed for attention. Let us first focus on the introductory video. We see Richard Banks doing a rather unusual and irritating marketing of his App on a street. He is seen reciting the App’s name continuously on the face of every passerby. While people just kept passing him off giving odd expressions, one man James did show some interest and stopped by. Richard introduces the power of the software to James and tells him more about it over coffee. Richard tells how he is the founder of the 10K Every Day App. Being an expert trader himself, Richard claims to have exploited some ‘loopholes’ he discovered some two years ago in the trading charts. What were those ‘loopholes’ and how he managed to make use of them up to such an extent that he netted over $5 million in the last 2 years, that’s a closely guarded secret! Richard goes on to explain how his App can set the cash counters ringing. He explains how day after day and weeks for weeks, the App can continually generate profits with minimal intervention. Taking into account that the trading markets are closed on weekends, and only five days are open per week, he shells out some more stats to impress James. $50k per week, $200k per month and proportionally 2.5 million/year is what one can expect to rake in if he is lucky enough. Why does the user need to be lucky? Its because Richard is only letting in 20 more people to have access to his App for Free one last time. The other time when he granted free copies of his software was just a week ago. The App is a Scam! Yes, you heard it right. Right from the moment we started watching the video, we got suspicious. The fake expressions and the whole mannerism of Mr. Richard seemed so made up! He reminded us of the incident when Tom Cruise started jumping on the couch on Oprah Winfrey’s Show. Did you not notice his over enthusiastic ‘dialogue delivery’? Why in the world is he so excited! We can’t buy the argument he gives for distributing his App to unknown people. He reasons that he has made enough money for himself to expect anything in return for his gesture. Can you believe it! He claims to have earned just $5 million and has lost interest in making more money? Everyone knows how money making is an infection which once caught usually follows till the grave. A thing which demands explanation is that we see Richard paying up $250 on James’ behalf for the initial investment. We too signed up and took all the necessary steps to open an account for us. If Richard is so benevolent, why were we being asked to pay up? He is just letting in a total of 40 people. An initial account funding for all these people would not exceed $10,000. We think Richard can definitely afford to shell out this trifle amount, after all its just his one day’s earning through the App right. Mr. Richard – Who is he? A Millionaire peddling on the roadside, even if he has a golden heart and is doing it for the welfare of people, is not normal. Such a noble person who distributes profit churning software for ‘Free’ should have become famous by now. Tell us, did you ever come across him anywhere? No, because Richard Banks is not a real guy. He is nowhere to be found on the internet, while a multimillionaire would surely have a social profile. In all possibility he is an actor, who is getting paid along with James to fool you. We tried to find about him on Wall Street Magazines & even on social networking sites like Facebook, Twitter but we were not able to find a single word about this guy. This guy was also seen in other scams like Instant Cash Club. Not once is it mentioned in the video or on the 10K Every Day App website, what assets or options one could trade with. The winning rate or the credentials of the brokers involved are all kept secret too. What is the algorithm that is powering the App, did anyone hear anything about it? Well, we didn’t and because it is not mentioned anywhere. 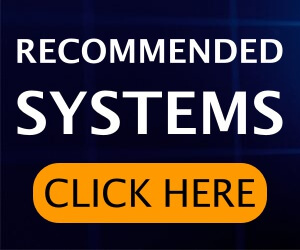 While it’s a common practice to advertise using innovative and technical sounding names for algorithms and spawning a whole ‘technical story’ to put weight to it, quite surprisingly an algorithm seems missing here. Its common to find Frequently Asked Questions section on websites. 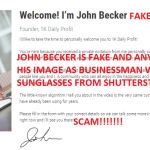 What we find out on 10K Every Day scam website is a strange mash-up of FAQ and comments. We have never seen comments of people mixed up with random queries and dished out as FAQs. Its really hilarious and another indicator of what is the quality of the website or the App. There is no time-stamp on any of the comments either. Also missing are any details or links which could be used to contact the reviewers or the people who commented. 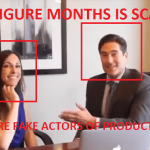 Verdict – 10K Every Day App Is 100% Scam. Avoid It! This 10K Every Day App didn’t go down well with us. The projected profits are 100% hyped up and mark our words this App won’t make millions for you in a year. Forget about a year, this App won’t make a million for you over an investment of $250 in even more years to come. We didn’t find any fact presented in the video or on the website credible enough. We would recommend you to stay away from 10k Every Day App scam. Thank you so much the review. Great one!!!! Congratulations. Let’s make it harder for these liars to act. There’s no way to do that. Just keep blocking their nos. HI Sofy Raymond, thank you for the INFO.